Human habitation of the Moon and Mars might still seem like a far-off dream, but visionaries are already taking incremental steps toward that goal. One such initiative comes from the EuroMoonMars project, which has just completed field tests of a prototype for human habitats and research stations, whose design is based on Japanese origami. You’ve seen origami? It’s the art of paper folding, with the goal of folding a flat square sheet of paper into a finished sculpture, such as the ever-popular paper crane. Although most often associated with Japanese culture, there’ve been similar paper-folding traditions in Europe and China. 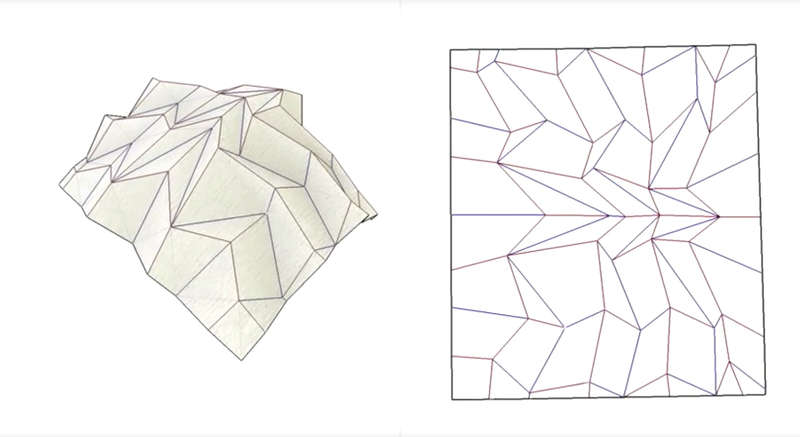 And, one day, there might be structures on the Moon or Mars based on paper-folding techniques. 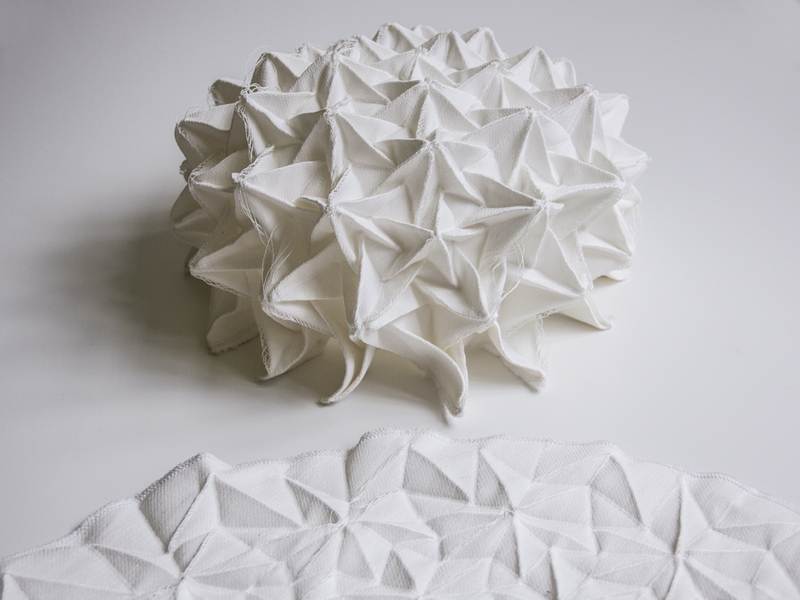 The EuroMoonMars project prototype uses a combination of origami and smart textiles. Anna Sitnikova presented the concept at last month’s European Planetary Science Congress 2018 (September 16-21, 2018) in Berlin. 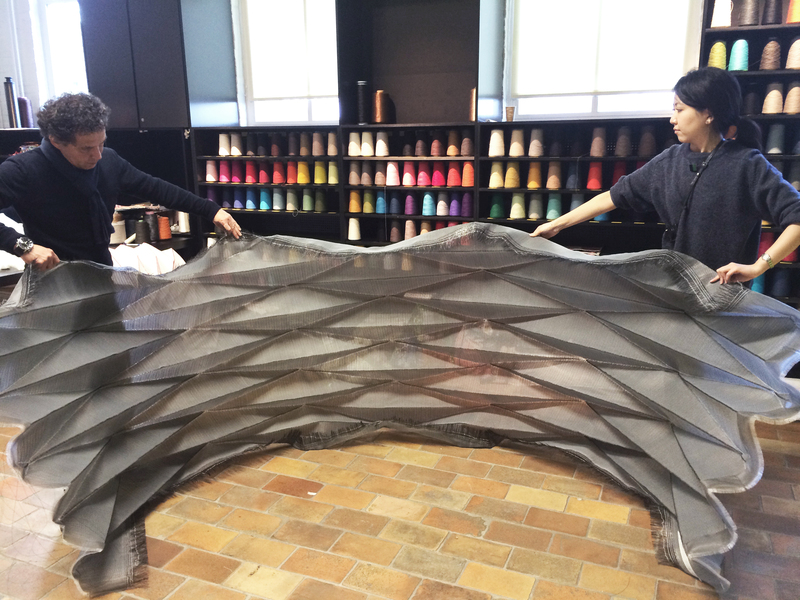 The origami structure is combined with digital weaving processes to sculpt complex forms. The designers say these forms are compact to transport and easy to deploy through inflatable, pop-up or robotic mechanisms. They say they’re ideally suited for environments with little or no atmosphere, like the Moon and Mars. And they claim the structures can also reduce the risk of meteorite damage by using angled facets so that incoming micrometeorites are less likely hit surfaces at 90 degrees. This dissipates the energy of potential impacts and significantly reduces the risk of penetration. What’s more, the shape-shifting material has solar panels embedded in it which can follow the sun throughout the day. And it has transparent and opaque facets which can change direction to alter internal lighting and climate conditions in the habitats. “We’ve just returned from a scouting trip and have selected the cave systems of Stefanshellir and Surtshellir, which has large galleries and a very elaborate tunnel system. We are provisionally looking at setting up a small habitat, implementing knowledge from previous demonstrations of our origami tunnel and woven domes. 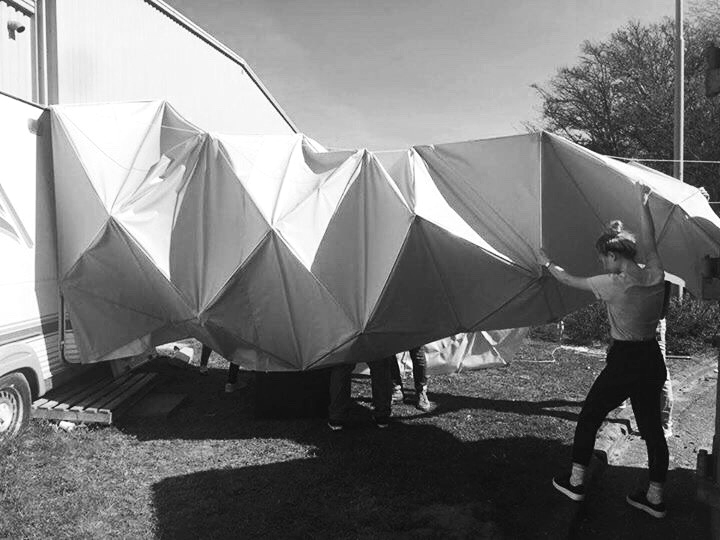 The next major objective of the project is to design a self-deployable origami habitat. Such “smart” habitats will be needed when a habitat or base is eventually set up on the Moon – and later, Mars. Bottom line: Origami, the elegant Japanese art of paper folding, is now being used in futuristic designs for human habitats on the Moon and Mars. It’s an excellent example of blending old techniques with new ideas, and shows the kinds of creative thinking needed if humans are ever to inhabit other worlds.